"WHAT DOES IT TAKE TO EXPRESS YOURSELF? 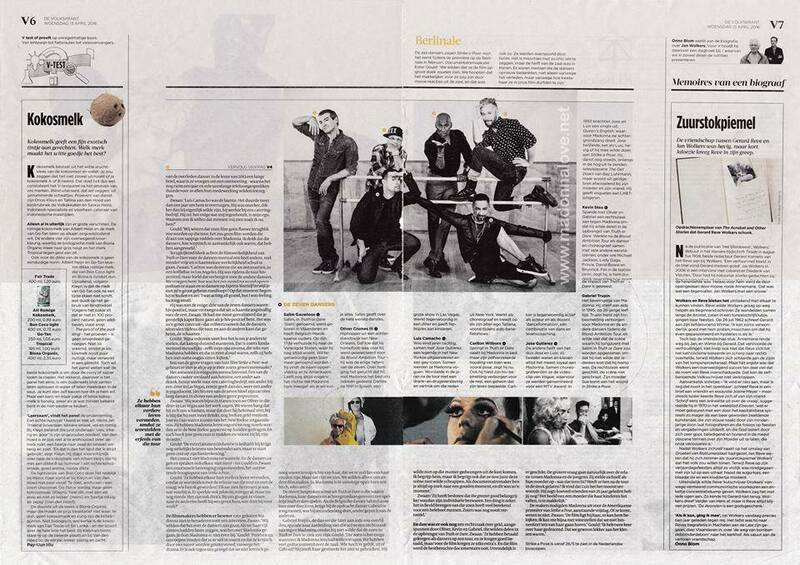 THE SURPRISING AND MOVING STORY OF MADONNA’S MOST FAMOUS TROUPE OF DANCERS." 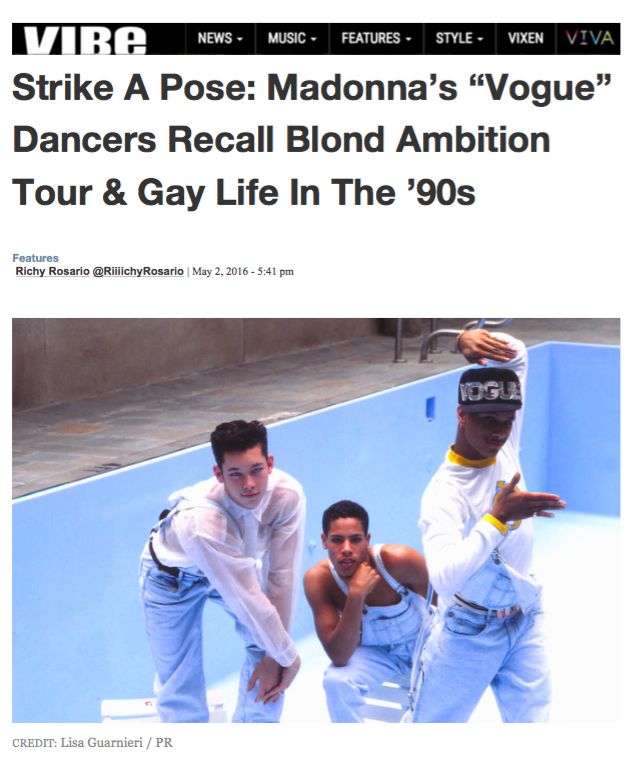 Synopsis: In 1990, seven young male dancers - 6 gay, 1 straight - joined Madonna on her most controversial tour. On stage and in the iconic film Truth or Dare they showed the world how to express yourself. Now, 25 years later, they reveal the truth about life during and after the tour. 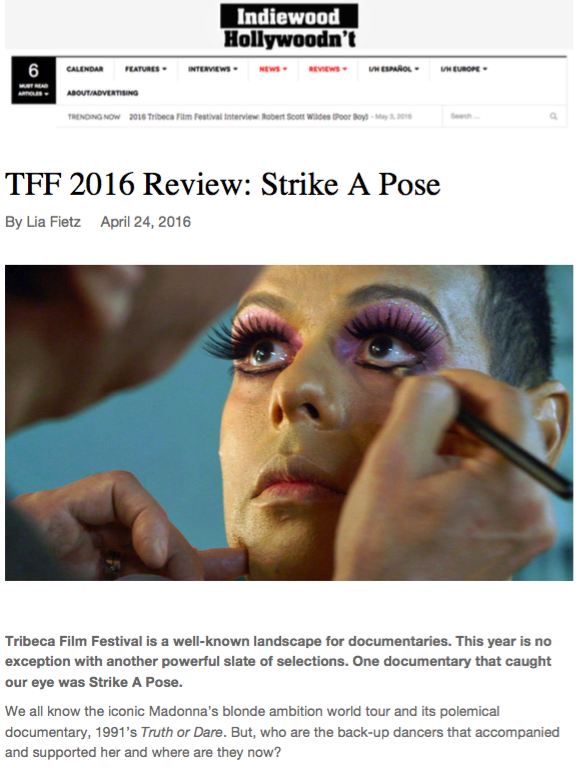 Strike a Pose is a dramatic tale about overcoming shame and finding the courage to be who you are. In 1990, seven young dancers joined pop star Madonna on her most controversial world tour. 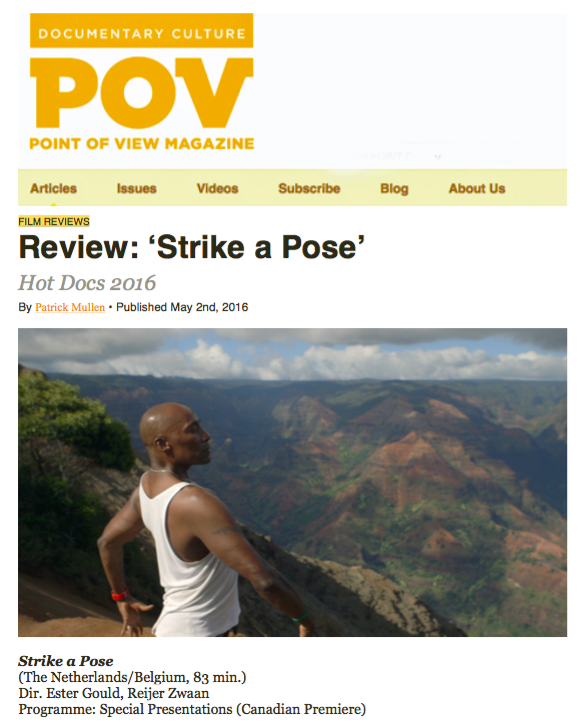 Wild, talented and barely twenty, the dancers set out on the trip of a lifetime. Their journey was captured in Truth or Dare, one of the highest-grossing documentaries ever. As a self-proclaimed mother to her six gay dancers plus straight Oliver, Madonna used the film to take a stand on gay rights, freedom of expression and the fight against AIDS. 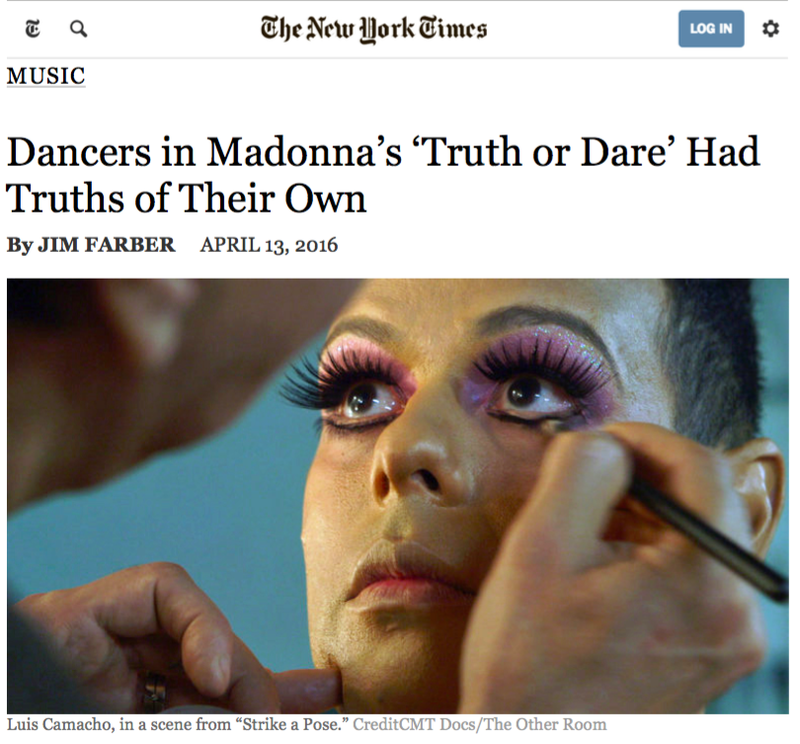 Madonna’s flamboyant dancers became icons of sexual freedom, inspiring people all over the world to be who you are. At the height of the AIDS epidemic and in the aftermath of the conservative Reagan era, Truth or Dare introduced audiences to fun-loving, bold and larger-than-life gay characters. The film was ground-breaking, featuring two guys kissing passionately during the famous Truth or Dare scene. Madonna, determined to push the envelope, defended the film ferociously: “If you keep putting something in people’s faces, eventually, maybe they can come to terms with it.” The message stuck: even today, the dancers receive thank-you letters from people around the world recalling how the film changed their lives. 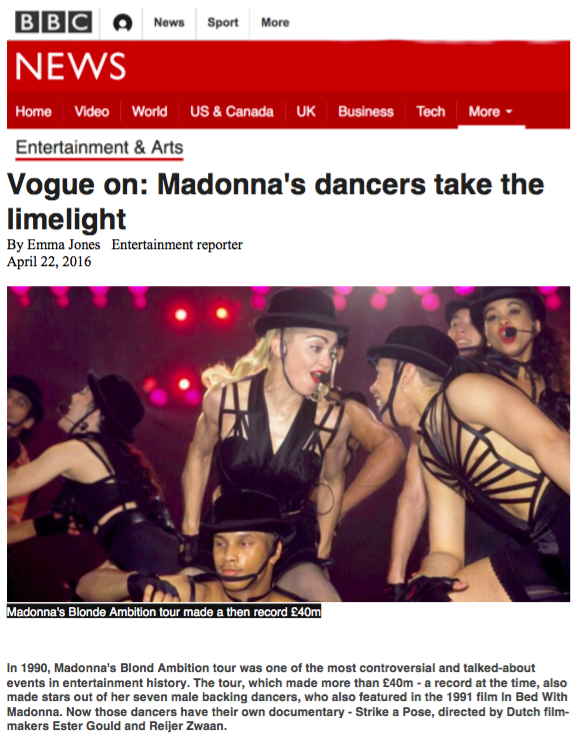 Although they were pivotal to Madonna’s message, the dancers weren't living it. In fact, Gabriel wasn’t proud of being gay at all. 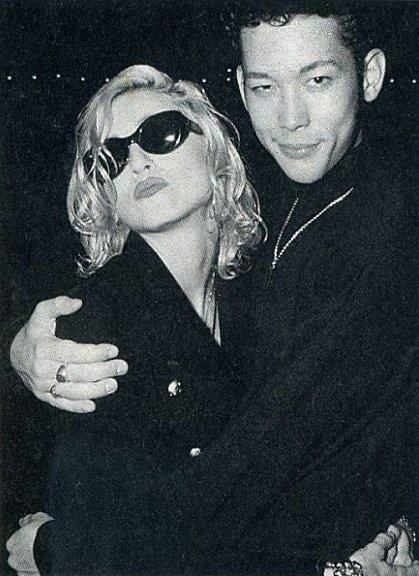 After failing to persuade Madonna to cut out the kissing scene that would ‘out’ him to his family and friends, he filed a lawsuit against her. A few years later, the 26-year-old died of AIDS, a disease that had shamed him into silence. And Gabriel wasn’t the only one: Carlton – big, bold and the only dancer who was trusted to lift up the pop icon – was HIV-positive and almost collapsed under the secret that he was carrying on tour. Years of faking and lying distort his life to this day. A third dancer is still hiding an important part of himself and now finally wants to open up. 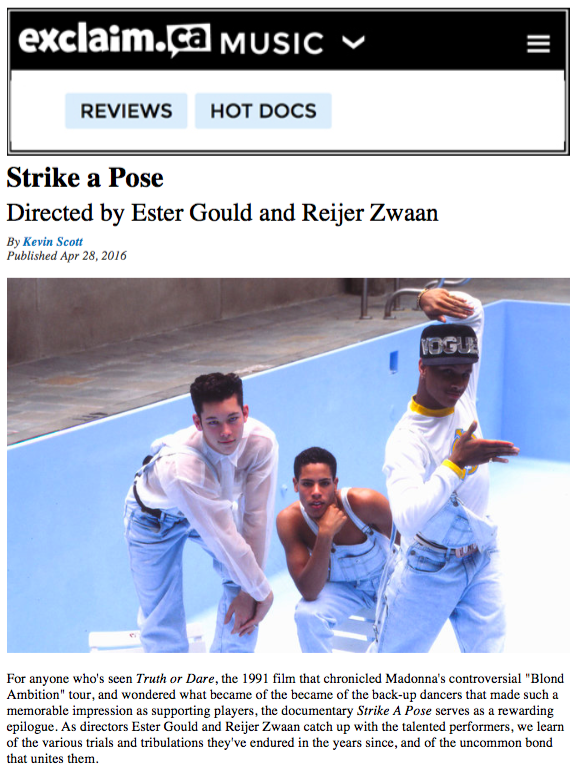 In Strike a Pose, we encounter the dancers on a new journey. For the first time they tell us how hard it has been to live the liberated life they were promoting on stage. Their incredible stories reveal how fear of other people’s judgment holds us back and how hard it is to accept yourself when you feel different. Twenty-five years after the tour and the film that marked pop and gay culture as much as their own lives, the dancers, their dramatic stories and their fierce moves inspire us once again. What does it really take to express yourself?